Our website also specializes in making of the best Business Cards available. These business cards are available for all sorts of catering services and can make the best of cards because of their unique printing and style. These cards can be customized and edited. The texts can be changed. 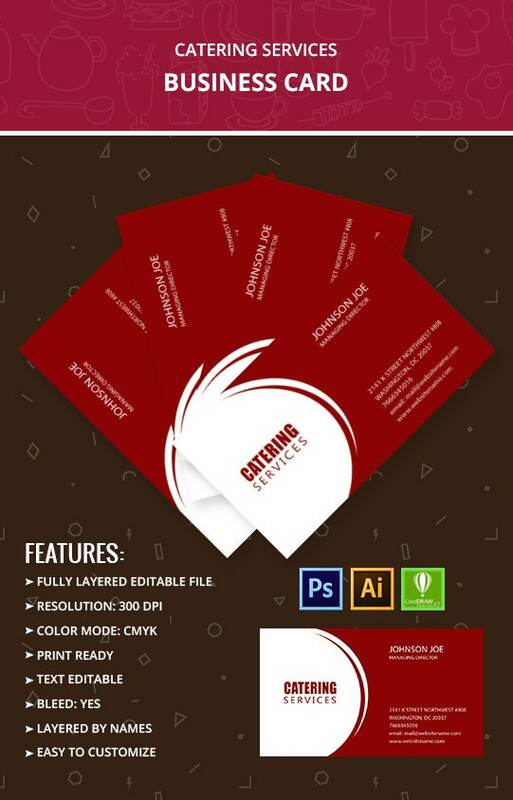 Present in high resolution, these business cards for your catering service can be promising in making you one of the most attractive catering service in the area. 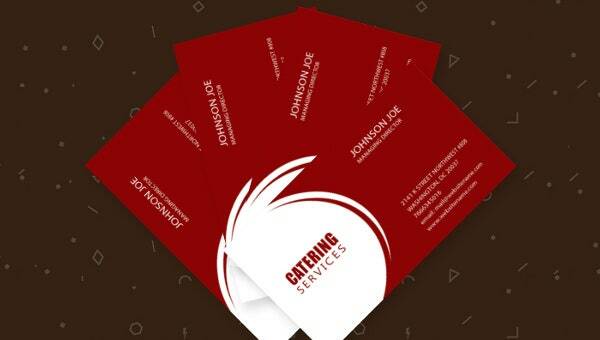 You can download and print these business cards from our website in PDF and PSD formats.